On Feb. 27, 2009, a truck collided with Zachary Cruz, a 5-year-old Berkeley resident, and killed him instantly while he was walking to after-school care at the Clark Kerr Campus. Frank Cruz, his father and a doctoral candidate in the campus English department, gathered with family members and Zachary Cruz’s friends Tuesday to hold signs up at the busy intersection between 8 and 9:30 a.m. The signs urged motorists to “DRIVE LIKE YOUR KID DIED HERE,” which was written in bold white font over a portrait of Zachary Cruz. 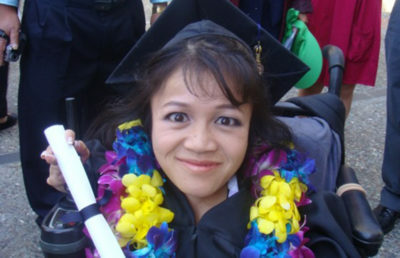 Zachary Cruz’s parents, Jodie and Frank Cruz, established the Zachary Cruz Memorial Scholarship at UC Berkeley in 2010. The scholarship is the parents’ way of giving back to the Bay Area and Ventura County, the places where Zachary Cruz was raised. Berkeley is the most dangerous city of its size in California for cyclists and pedestrians, according to the city’s police and health departments. 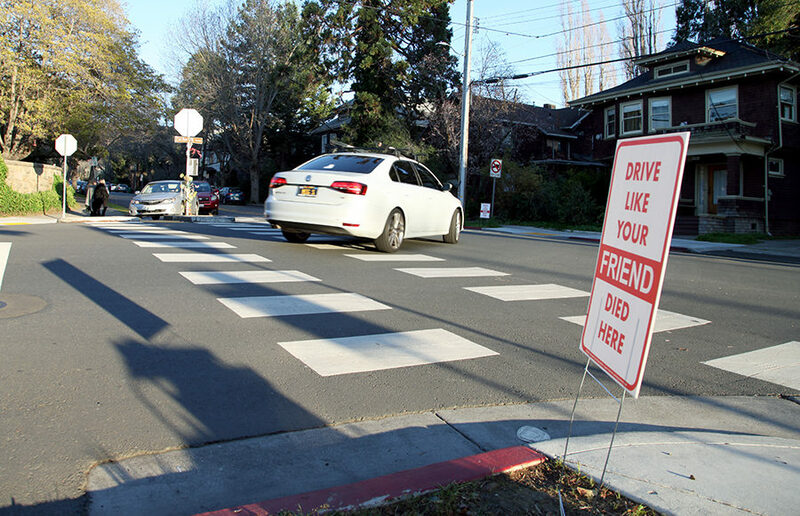 The city of Berkeley added “Zachary’s Corner” to a stop sign at the intersection in 2010 in order to visually memorialize Zachary Cruz and the incident. In addition, City Council voted in 2010 to proclaim March as “Pedestrian Safety Month” in honor of Zachary Cruz. Berkeley Police Department Traffic Bureau officers coordinated with OursDid.org to conduct a traffic enforcement operation focusing on education and enforcement of stop signs, seat belts and right-of-way violations. In January, the city unveiled the newly designed Hearst Avenue, which had been under construction to make the street safer for all modes of transportation. Earlier efforts to make Berkeley streets safer and more accessible led to the construction of a bike lane on Bancroft Way in August 2017. 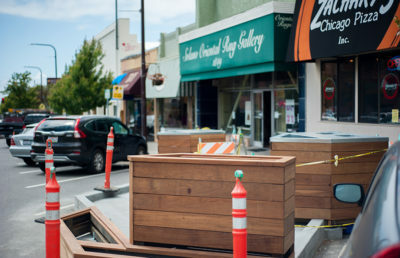 City Councilmember Lori Droste, who was present at the gathering, said Berkeley ultimately still needs more money for infrastructure changes such as crosswalks. She also emphasized the need for increased BPD staffing to sustain the traffic enforcement unit. Holland said she and other members of Zachary Cruz’s family planned to go to Tuesday’s City Council meeting to continue to raise awareness of driver safety.